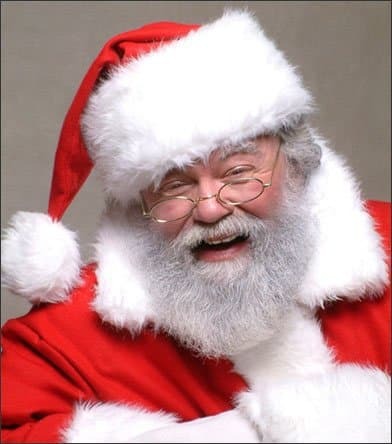 Michigan Santa Claus LLC offers the unique opportunity for you to include an authentic-looking, real bearded Santa Claus to your next holiday event or party. Serving the Detroit metropolitan area and lower Michigan, our singing Santa is a gifted actor with a rich baritone voice that will delight and entertain your guests. To enrich your party further, Mr. Claus will bring Mrs. Claus, who is also an experienced vocalist and actress. Call today to hire Santa Claus for your event! Real bearded Santa & authentic Mrs. Santa Claus. Singing Santa and Mrs. Claus are highly qualified vocalists and experienced actors. Santa Claus & Mrs. Claus are available throughout the year! Would you our singing Santa & Mrs. Claus to join your next event or party? We're looking forward to hearing from you! Please contact us.